JEGS 830009 - Line Separator 0.781 in. I.D. x 0.781 in. I.D. 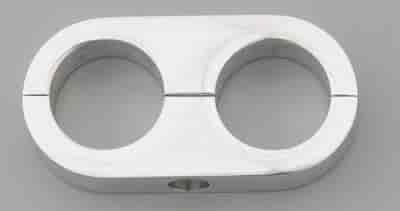 Billet Specialties Hose Separator .781" x .781"
JEGS 820009 - Hose Separator 0.781" I.D. x 0.781" I.D. Billet Hose Separators Machined from 6061-T6 billet aluminum, our hose separators add a professional and detailed touch to your vehicle's engine compartment and chassis. All sizes are polished. 1/pkg.